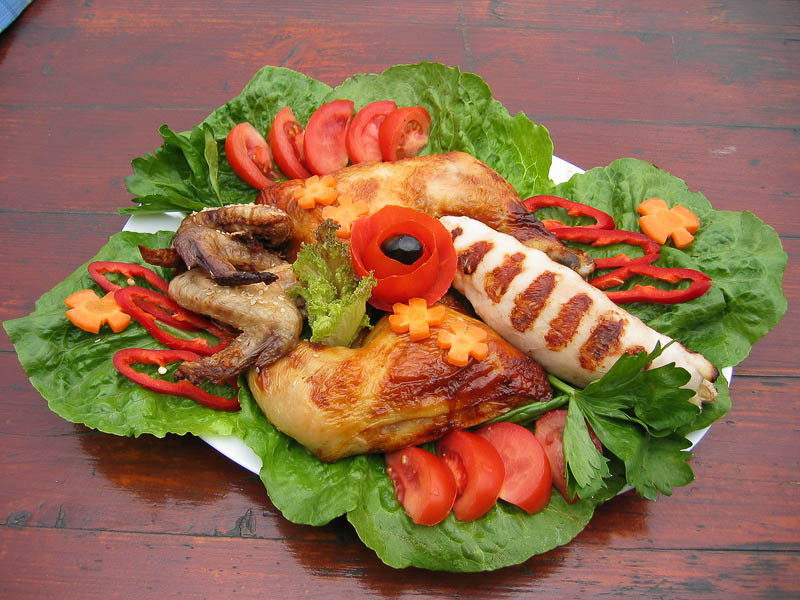 Portion of plate with roasted chicken meat ornate with fresh vegetables in dish on restaurant table. Tasty, juicy food ready for serve. Beautiful arranged plate.